Your initial meal should pair together carbs with proteins. The carbs will provide your body with the energy it requires and help fuel the brain for the day. Protein is a fast acting energy source that will allow you to feel full until your next meal. When choosing what to eat for your breakfast, try to eat whole foods that are full of nutrients. For example yogurt, whole wheat breads, cereal, fruits, eggs. There are many health benefits when eating a healthy breakfast. 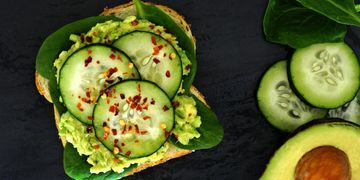 Aside from avocados looking nutritionally tasteful, they actually have tons of healthy nutrients.